Marfa is a town in the high desert of far West Texas in the Southwestern United States. Located between the Davis Mountains and Big Bend National Park, it is also the county seat of Presidio County. The population was 2,121 at the 2000 census. Marfa was founded in the early 1880s as a railroad water stop, and grew quickly through the 1920s. Marfa Army Airfield (Fort D.A. Russell) was located east of the town during World War II and trained several thousand pilots before closing in 1945 (the abandoned site is still visible ten miles (16 km) east of the city). The base was also used as the training ground for many of the U.S. Army’s Chemical mortar battalions. Despite its small size, today Marfa is a tourist destination. Attractions include the historical architecture and classic Texas town square, modern art at the Chinati Foundation and in galleries around town, and the Marfa lights. Amateur etymologist Barry Popik has shown[where?] that Marfa is named after Marfa Strogoff, a character in the Jules Verne novel Michael Strogoff and its theatrical adaptation; the origin was reported in the Galveston Daily News on December 17, 1882, after the Marfa railroad station was established but before Marfa received a post office in 1883. Marfa is located at 30°18?43?N 104°1?29?W? / ?30.31194°N 104.02472°W? / 30.31194; -104.02472 (30.311863, -104.024779). According to the United States Census Bureau, Marfa has a total area of 1.6 square miles (4.1 km²), all of it land, the city is located in the Chihuahuan Desert, a notably underdeveloped region of about 140,000 square miles (~362,600 km²). There is less than one person per square mile in the area. In 1971, Donald Judd, the renowned minimalist artist, moved to Marfa from New York City. After renting summer houses for a couple of years he bought two large hangars, some smaller buildings and started to permanently install his art. While this started with his building in New York, the buildings in Marfa (now The Block, Judd Foundation) allowed him to install his works on a larger scale. In 1976 he bought the first of two ranches that would become his primary places of residence, continuing a long love affair with the desert landscape surrounding Marfa. Later, with assistance from the Dia Art Foundation in New York, Judd acquired decommissioned Fort D.A. Russell, and began transforming the fort’s buildings into art spaces in 1979. Judd’s vision was to house large collections of individual artists’ work on permanent display, as a sort of anti-museum. Judd believed that the prevailing model of a museum, where art is shown for short periods of time, does not allow the viewer an understanding of the artist or their work as they intended. Since Judd’s death in 1994, two foundations have been working to maintain his legacy: the Chinati Foundation and Judd Foundation. Every year The Chinati Foundation holds an Open House event where artists, collectors, and enthusiasts come from around the world to visit Marfa’s art. Since 1997 Open House has been co-sponsored by both foundations and attracts thousands of visitors from around the world. The Chinati Foundation now occupies more than 10 buildings at the site and has on permanent exhibit work by Carl Andre, Ingólfur Arnarson, John Chamberlain, Dan Flavin, Roni Horn, Ilya Kabakov, Richard Long, Claes Oldenburg, Coosje van Bruggen, John Wesley, and David Rabinowitch. In recent years, a new wave of artists has moved to Marfa to live and work. As a result, new gallery spaces have opened in the downtown area. Furthermore, The Lannan Foundation has established a writers-in-residency program, a Marfa theater group has formed, and a multi-functional art space called Ballroom Marfa has begun to show art films, host musical performances, and exhibit other art installations. Outside of Donald Judd and modern art, Marfa may be most famous for the Marfa lights, visible on clear nights between Marfa and the Paisano Pass when one is facing southwest (toward the Chinati Mountains). According to the Handbook of Texas Online, "…at times they appear colored as they twinkle in the distance. They move about, split apart, melt together, disappear, and reappear. Presidio County residents have watched the lights for over a hundred years. The first historical record of them recalls that in 1883 a young cowhand, Robert Reed Ellison, saw a flickering light while he was driving cattle through Paisano Pass and wondered if it was the campfire of Apache Indians. He was told by other settlers that they often saw the lights, but when they investigated they found no ashes or other evidence of a campsite. Presidio County has built a viewing station nine miles east of town on U.S. 67 near the site of the old air base. Each year, enthusiasts gather for the annual Marfa Lights Festival. These objects have been featured and mentioned in various media, including the television show Unsolved Mysteries and an episode of King of the Hill ("Of Mice and Little Green Men") and in an episode of Disney Channel Original Series So Weird, however the producers/writers had made the countryside of Marfa as a forest area instead of a desert area which Marfa is actually located in. A fictional book by David Morrell, 2009’s "The Shimmer", is inspired by the lights. The metalcore group Between the Buried and Me make a reference in the song "Obfuscation" (2009). The famous 1956 Warner Bros. film Giant, starring Elizabeth Taylor, Rock Hudson, James Dean, Sal Mineo, Carroll Baker and Dennis Hopper, was filmed in Marfa for two months. Director George Stevens did not have a closed set and actively encouraged the townspeople to come by, either to watch the shooting, or visit with the cast and crew, or take part as extras, dialect coaches, bit players and stagehands. 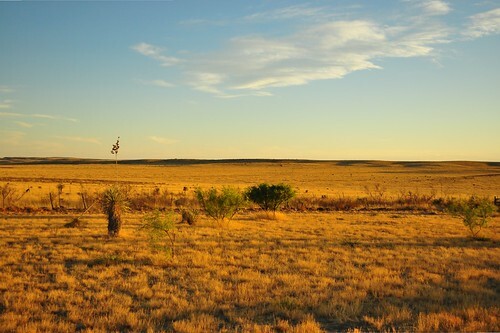 In August 2006, two movie production units used locations in and around Marfa: the film There Will Be Blood, an adaptation of the Upton Sinclair novel Oil!, directed by Paul Thomas Anderson, and the Coen Brothers’ adaptation of the Cormac McCarthy novel No Country for Old Men. The 1976 play Come Back to the Five and Dime, Jimmy Dean, Jimmy Dean, and its 1982 film adaptation, were set in and around Marfa. The film, however, was not shot there. In 2008, Marfa held the first annual Marfa Film Festival, which lasted from May 1–5. The music video of ‘Obfuscation’ by Between the Buried and Me is set in Marfa. According to the latest U.S. census of 2000, there were 2,121 people, 863 households, and 555 families residing in the city. The population density was 1,354.6 people per square mile (521.6/km²). There were 1,126 housing units at an average density of 719.1 per square mile (276.9/km²). The racial makeup of the city was 91% White, 0.28% African American, 0.38% Native American, 0.05% Asian, 7.50% from other races, and 0.75% from two or more races. Hispanic or Latino of any race were 69.9% of the population. There were 863 households out of which 29.3% had children under the age of 18 living with them, 47.4% were married couples living together, 13.1% had a female householder with no husband present, and 35.6% were non-families. 31.4% of all households were made up of individuals and 17.3% had someone living alone who was 65 years of age or older. The average household size was 2.35 and the average family size was 2.99. In the city the population was spread out with 24.9% under the age of 18, 7.9% from 18 to 24, 24.2% from 25 to 44, 24.5% from 45 to 64, and 18.5% who were 65 years of age or older. The median age was 39 years. For every 100 females there were 101.8 males. For every 100 females age 18 and over, there were 100.9 males. The median income for a household in the city was ,712, and the median income for a family was ,328. Males had a median income of ,804 versus ,382 for females. The per capita income for the city was ,636. About 15.7% of families and 20.6% of the population were below the poverty line, including 24.6% of those under age 18 and 26.9% of those age 65 or over. Marfa is served by the Marfa Independent School District. Marfa Elementary School and Marfa Junior/Senior High School, a part of the district, serve the city. As of October 1, 2009 the city no longer has a local police department. The Presidio County Sheriff patrols the city as well as the county as a whole. Marfa is home to NPR-affiliated station KRTS. Marfa Magazine is a yearly publication distributed out of Marfa Texas, founded and operated by Johnny Calderon, Jr. Marfa Magazine focuses on current issues and general information about Marfa, Alpine, and Fort Davis. Marfa operates the Marfa Municipal Airport, located north of the city in unincorporated Presidio County and serving general aviation. Commercial air service is available at either Midland International Airport, 180 miles (290 km) northeast, or El Paso International Airport, 190 miles (310 km) northwest. Greyhound Lines operates an intercity bus service from the Western Union office. The Amtrak Sunset Limited passes through the city, but does not stop. The nearest stop is located in nearby Alpine. 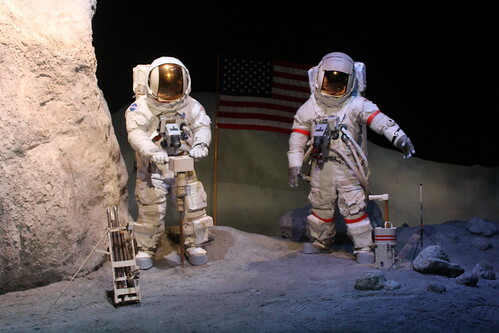 Space Center Houston is the official visitor center of NASA Johnson Space Center and a Smithsonian Affiliate Museum owned and operated by the nonprofit Manned Spaceflight Education Foundation. The center opened in 1992 and hosts more than 1 million visitors annually in its 250,000-square-foot educational complex with over 400 space artifacts, permanent and traveling exhibits, attractions, live shows and theaters dedicated to preserving the history of America’s human spaceflight program. The Lyndon B. Johnson Space Center (JSC) is the National Aeronautics and Space Administration’s Manned Spacecraft Center, where human spaceflight training, research, and flight control are conducted. Construction of the center, designed by Charles Luckman, began in 1962 and the 1,620-acre facility officially opened for business in September 1963. The center is home to NASA’s astronaut corps, and is responsible for training astronauts from both the U.S. and its international partners. It has become popularly known for its flight control function, identified as "Mission Control" during the Gemini, Apollo, Skylab, Apollo–Soyuz, and Space Shuttle program flights. It is also the site of the former Lunar Receiving Laboratory, where the first astronauts returning from the Moon were quarantined, and where the majority of lunar samples are stored. (Somerville & Cambridge, MA) Born out of a need for street bands to celebrate their social activist side, the increasingly popular HONK! Festival is back for a 5 year with opportunities galore for participants and festival goers to enjoy themselves immensely. Rain or shine on Columbus Day weekend, October 8-10, the streets primarily in and around Davis Sq. and spilling out into Harvard Square will be teeming with bands raising a good time ruckus. The confirmed HONK! 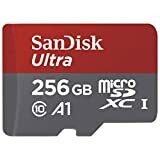 band count is currently at 25, with one to two new ones being added weekly. But when the final count is in, this year up to 30, there’ll still be no stopping individuals who suddenly feel the need to jump in at the last minute. In today’s parlance, HONK! 2010 already has an app for that! Opportunities abound not only for festival invitees but for the spur of the moment merry maker, including a chance to play music with the October 10th impromptu “community band” made up of individual musicians, who are not affiliated with any of this year’s HONK! bands, but are interested in participating in the gigantic HONK! Parade to Reclaim the Streets for Horns, Bikes and Feet. Yawkey Club of Roxbury, 115 Warren St., Roxbury; Charlestown Club, 15 Green Street, Charlestown; Blue Hill Club, 15 Talbot Ave., Dorchester; South Boston Club, 230 West Sixth Street, South Boston; Union Square Main Streets, Union Square, Somerville; Zumix, 260 Summer St., East Boston; and the Food Not Bombs gathering at Park St. on the Boston Common. Many of these events are free and open to all. Up to 30 activist street bands, from near and far, will perform outdoors for free. An Opening Ceremony to be held at 12:30 pm in 7 Hills Park, Davis Square, Somerville. At this writing the following bands will be participating, listed in alphabetical order: AfroBrazil, AMP (Activist Music for the People) Radical Marching Band, Bahamas Junkanoo Jumpers, Barrage Band Orchestra, Black Bear Combo, Brass Liberation Orchestra, Bread and Puppet Circus Band, Detroit Party Marching Band, Dirty Water Brass Band, DJA-Rara, Emperor Norton’s Stationary Marching Band, Environmental Encroachment, Expandable Brass Band, Extraordinary Rendition Band, Factory Seconds, Himalayas, Leftist Marching Band, Minor Mishap Marching Band, Rude Mechanical Orchestra, Second Line Social Aid & Pleasure Society Brass Band, Seed and Feed Marching Abominables, Springville All Star Marching Band, Titanium Sporkestra, Veveritse, and What Cheer? Brigade. Free and open to all; rain or shine. Led by the Mayors of Somerville and Cambridge, the parade will feature all the HONK! bands, plus the Bread & Puppet Theater, the impromptu “community band,” and many local arts and community organizations, such as Green Streets Initiative, Bikes Not Bombs, 350.org, Open Air Circus, Puppeteers Cooperative, Livable Streets, and Sprout. 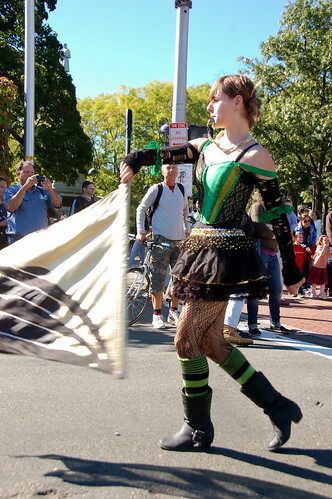 The parade assembles at 11 am, and the route starts in Davis Square, Somerville, at noon, making its way to Harvard Square’s Oktoberfest celebration in Cambridge. To participate in the parade or to volunteer as a parade facilitator, contact parade@honkfest.org. Several HONK! bands will be featured in Harvard Square’s Oktoberfest. Featuring all the HONK! bands, performing up to 10 minute sets each. At this writing the following bands will be participating, listed in alphabetical order: AfroBrazil, AMP (Activist Music for the People) Radical Marching Band, Bahamas Junkanoo Jumpers, Barrage Band Orchestra, Black Bear Combo, Brass Liberation Orchestra, Bread and Puppet Circus Band, Detroit Party Marching Band, Dirty Water Brass Band, DJA- Rara, Emperor Norton’s Stationary Marching Band, Environmental Encroachment, Expandable Brass Band, Extraordinary Rendition Band, Factory Seconds, Himalayas, Leftist Marching Band, Minor Mishap Marching Band, Rude Mechanical Orchestra, Second Line Social Aid & Pleasure Society Brass Band, Seed and Feed Marching Abominables, Springville All Star Marching Band, Titanium Sporkestra, Veveritse, and What Cheer? Brigade. Features 7 photographers: Greg Cook, Tiffany Knight, Mark Dannenhauer, Jesse Edsell-Vetter, Benjamin Greenberg, Chris Yeager & Akos Szilvasi. Their photos are inspired by HONK! Festival 2009. Sign-up gathering to help in all the ways that make HONK! possible. Individuals and groups interested in participating in the parade, to be held from noon-2 pm on October 10th, are also encouraged to attend. Fun is guaranteed! For more information, contact volunteers@honkfest.org. All day, with a special 7:30 pm performance by the Second Line Social Aid & Pleasure Society Brass Band. Flatbread in Somerville is donating a portion of the cost of every pizza pie purchased during the day to the HONK! Festival. For more information, contact benefit@honkfest.org. The HONK! Festival is a good idea coming to fruition. A need had been identified, not only on the part of musicians — of a particular persuasion — who have a penchant for gathering to raise a awareness about issues that need attention. But also a need is there on the part of the audience — not necessarily of any persuasion — to bask in the glow of this unusual phenomenon. 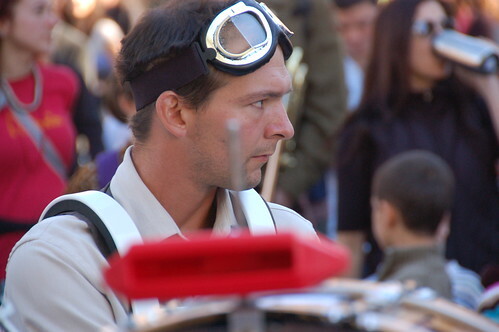 As often as bands congregate to HONK in protest, they also perform to celebrate the causes and institutions they support: multicultural festivals, peace conferences, social forums, artists’ collectives, community gardens, block parties, neighborhood fundraisers, relief benefits and homeless shelters. In every case, the HONKers’ ultimate goal is to have fun, to relish the art of making fun as a form of individual and collective transcendence, and to encourage others to see and do the same. HONK! Festival: City of Somerville, the Somerville Arts Council, RESIST, Harvard Square Business Association, Davis Square businesses, and last but not least, the local Davis Square community, whose support in terms of in-kind donations of food and public services, housing for upwards of 300 musicians, and cash contributions, is vital to keeping the HONK! effort going. A Practical Guide to Affiliate Marketing was written to be an indispensable handbook for all affiliate managers and merchants, alike. In addition to providing concrete, practical answers to common (as well as not-so-common) questions, the book gives usable ideas on promoting affiliate programs, along with ways to keep affiliates motivated. This guide presents the author’s information in a logical, convenient format. DOT Art in collaboration with the Bronx Documentary Center present an exhibition of photography within the kiosk located at Fordham Road Plaza at East Fordham Road and Washington Street in the Bronx. 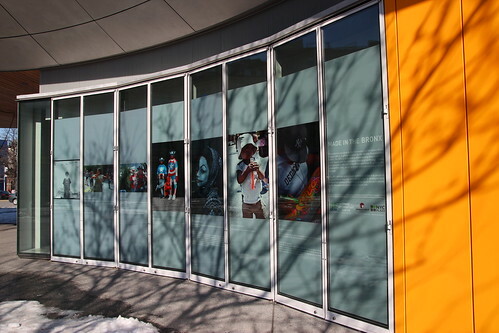 The exhibition, comprised of twenty-two adhesive vinyl panels, is installed on the interior kiosk windows of Fordham Plaza facing out to passersby on Fordham Road. Each image in the installation features a different location in the Bronx and is captured by one of the many Bronx-based artists affiliated with the Bronx Documentary Center. Accompanying text provides unique details and a background story about the image content as well as short artist bios. The Bronx Documentary Center, located twenty minutes from the project site, promotes education within Bronx communities through photography, film and new media. Their installation is acting as an interim treatment within the plaza as the space transitions into a fully functioning kiosk. 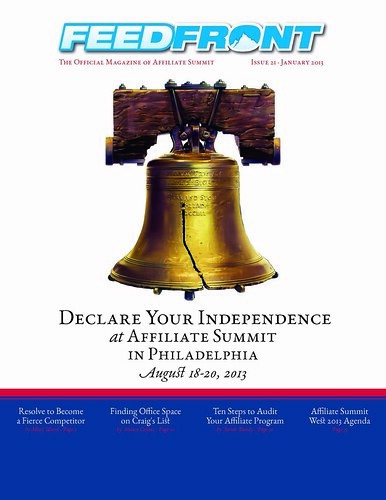 Issue 21 of FeedFront Magazine, the official magazine of Affiliate Summit. This issue of FeedFront Magazine includes Resolve to Become a Fierce Competitor by Missy Ward, Finding Office Space on Craig’s List by Shawn Collins, Ten Steps to Audit Your Affiliate Program by Sarah Bundy, and Affiliate Summit West 2013 agenda and speaker bios. Also, why you should stop building affiliate sites; coupon code compliance; the importance of compelling copy; datafeeds; creative marketing; and more. Read issue 21 of FeedFront Magazine at issuu.com/affiliatesummit/docs/feedfront-21.